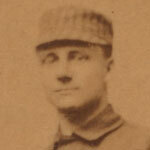 The most errors in one season was accomplished by shortstop Billy Shindle of the 1890 Philadelphia Quakers. He bobbled the ball 119 times in one season. At least he was 2nd in the league with 182 hits. Billy was a DH before its time. But bad fielding was part of the game back then. Here’s the most errors committed for one season for each decade. Notice how there’s less errors for each decade? That’s cuz they stopped putting pine tar in their ear. No, just better gloves and better fields. It cracks me up how Jose Valentin has committed the most errors for one season in the 2000’s. Does your dog have an email address? Did you know that a player can only be charged with an error if he touches the ball? I think that’s the dumbest rule in baseball. Jacque Jones misplayed so many balls for the cubs this year, but wasn’t charged for them cuz he didn’t touch the ball. He would be a candidate for the most errors this decade. But he is the lucky benefactor of the current rule system.